Taking care of your canvas doesn’t just save you money, it’s central to good seamanship Knowing how to take care of your sails and how to repair them while at sea is an important part of overall seamanship. The last thing any sailor needs is to get caught on a lee shore with damaged sails. This applies to both racers and cruisers. 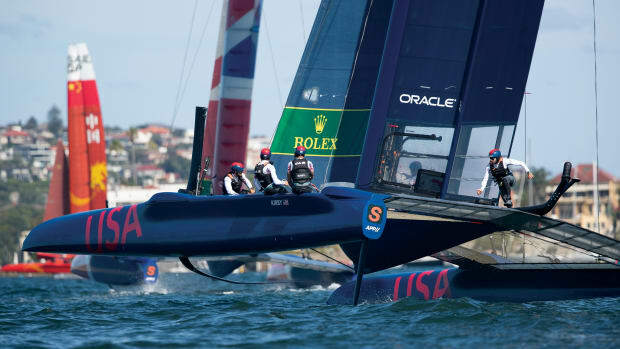 These days there is a fine line between the kind of engineering used for racing and cruising sails, as many cruisers are now opting for high-tech membrane sails, as opposed to conventional crosscut Dacron or a laminate. But while a membrane sail includes plenty of high-tech engineering in its construction, it is no more difficult to repair than Dacron. Before we look at how to fix these different kinds of sails, though, we’re going to take a look at some of the factors that fatigue sails in the hope that we can prevent having to do any unnecessary repair. Whether it’s blowing dogs off chains, or you’re chasing cat’s paws in a drifter, there are plenty of ways to ensure you get the most out of your sails over time. We’ll then take on the subject of sail repair at sea next month in Part Two of this series. Flogging: Flogging is the quickest way to damage a set of sails, especially membrane sails made from high-tech fibers like Carbon and Twaron. Neither of these fibers do well when they are repeatedly bent, which is exactly what happens when a sail is allowed to flog. Over time the delicate fibers will slowly fatigue. This applies to all fibers, but especially to these more exotic ones. Flogging can come in many different forms: including simply letting your mainsail flap in the breeze as you motor back to the mooring. Therefore, either drop the main whenever you are motoring or sheet it on tight to prevent it from flapping. Similarly, while it’s important that you head into the wind when hoisting a headsail, there is no need to create additional apparent wind by motoring at a higher speed than necessary. 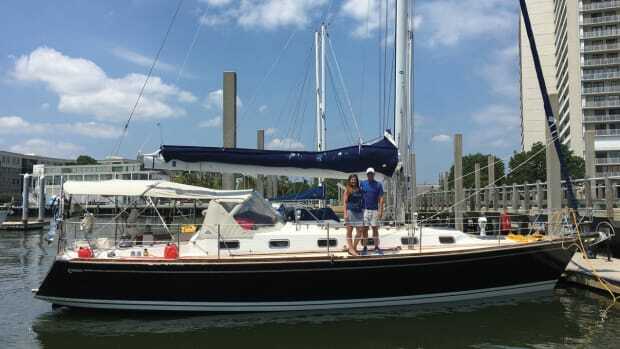 Just maintain enough way on to keep the bow pointed into the wind, and you’ll go a long way to sparing your sail. It’s the attention to small details that pay big dividends over time. Another, more subtle, way of causing a sail to flog is not trimming properly. If the lead position on the headsail, for example, is too far aft, the leech will twist off and flap. You should make sure, then, that the leech line is properly tightened and use the trim line on the clew (if the sail has one) to it in where it should be. In some cases, the mylar films on laminated sails will also be treated with UV inhibitors, which will go a long way to protecting those fibers in the mix that are most susceptible to UV degradation. When discussing new sails with your sailmaker bear this in mind and make sure that the sailcloth being recommended has adequate UV protection engineered into the fabric. No matter what the fibers or type of construction used, all cruising headsails should have a protective UV cover along the leech and foot so that when the sail is left rolled up on the headstay the UV strip is outermost and completely protects the sail. If you don’t like the look of a UV strip, you can try a genoa cover that goes over the sail once it is rolled up. It’s simple to use—just hoist it with a spare halyard and zipper it closed as it is being pulled up the stay. (Once hoisted there are lines that will allow you to snug the cover closed so that it does not flap in the breeze.) 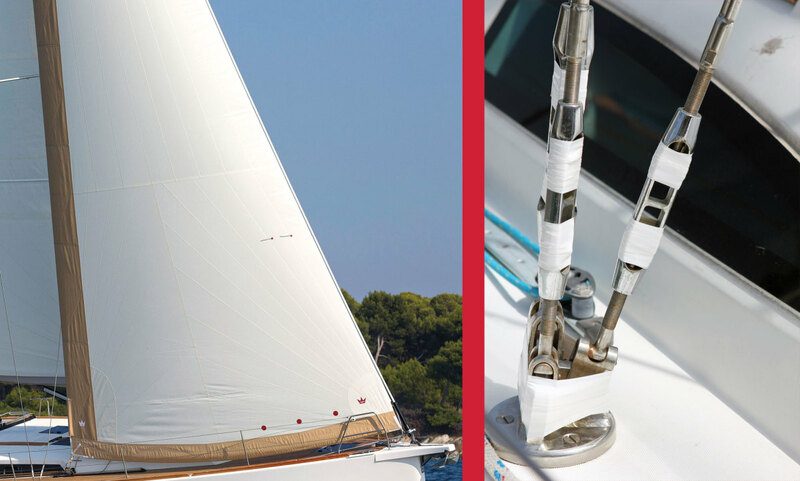 A genoa cover can be especially useful with membrane cruising headsails, where it seems a pity to add a low-tech UV sunshield to the trailing edge of a high-tech sail. The same applies to boom covers. Any time the mainsail is lowered and lashed to the boom it should be covered. 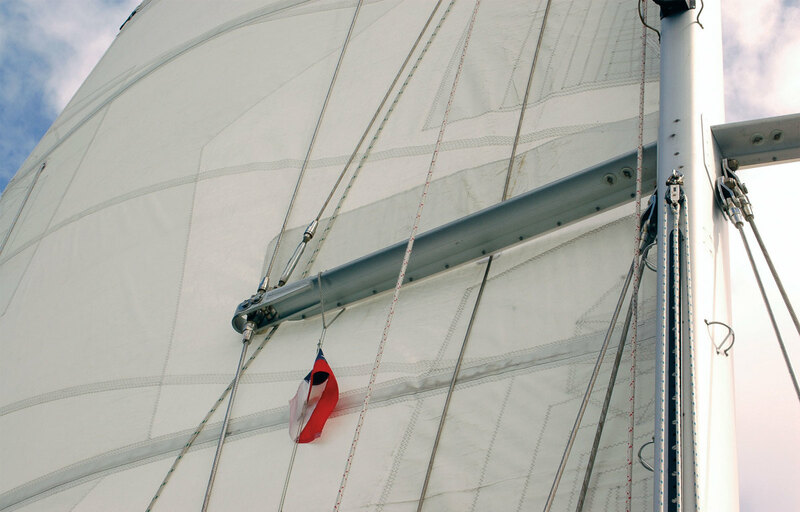 For really bulletproof protection you might consider having a mainsail cover that includes a foil liner on the inside. This liner consists of the same material that is used for making space blankets and completely blocks the sun’s harmful rays. Chafe: Chafe is the other great enemy of every sailor. Unfortunately, it can’t be prevented, only mitigated through the addition of chafe protection. 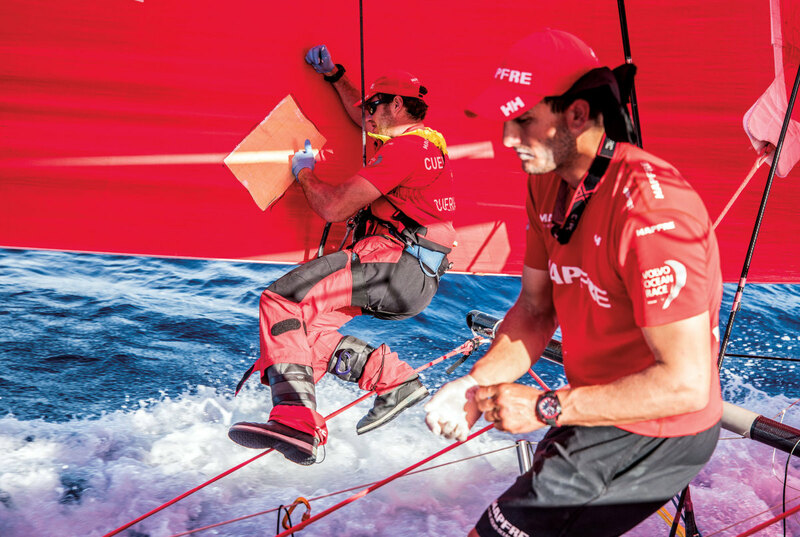 All sails rub against the rig and lifelines, and an area that is constantly rubbing will soon develop into a hole that may, in turn, lead to the sail ripping. This applies to all sails, no matter their engineering. Fortunately, there are a number of things you can do to prepare both your sails and your boat to delay the inevitable as long as possible. Start by adding spreader patches to both your headsail and mainsail. Each time you tack, the headsail, for example, gets dragged across the spreader ends, gradually weakening the sail in that area, so protecting these areas makes a lot of sense. You can either go aloft and mark the sail where the patches need to go, or you can simply wait until you start to see the marks on the sail where it has been rubbing against the spreader. While you’re at it, you can also add some kind of chafe protection to the outboard ends of the spreaders by putting on a bit of leather, adding a plastic cover piece or simply taping the ends with stickyback Dacron. 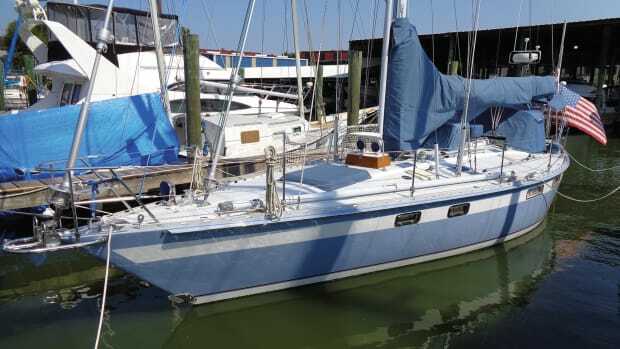 The same thing should be done where the headsail rubs up against the stanchions: add patches to the sail and then cover the top of each station with some kind of protection. Another good idea is to add a strip of protection along the foot of the sail where it rubs against the lifelines. Over-trimming a sail: As bad as flogging can be, over-trimming a sail can be even worse. 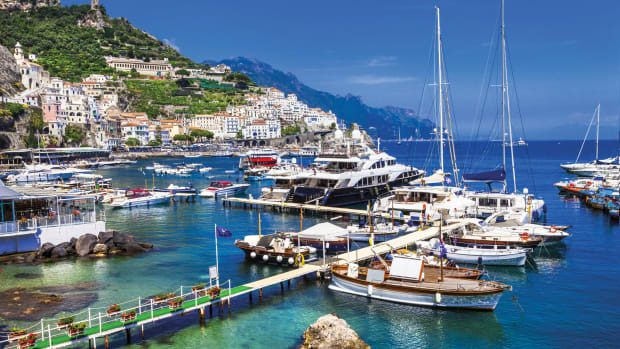 These days many cruising boats have at least one electric winch aboard, and while this represents a terrific convenience, an electric winch can also sometimes lead to some serious sail damage. When you are cranking in on a sail by hand, there is a certain amount of information transmitted through the winch handle. If, for example, you are hoisting a genoa and it suddenly gets harder to wind on, then you know that perhaps the sail has hung up on something and you need to act accordingly. Electric winches, on the other hand, are so powerful they just keep on keeping on until something breaks, more likely than not, the sail. If you are hoisting a sail at night, in particular, it may be a good idea to hand crank the last few feet, so that you an “feel” when it has reached either the hounds of the masthead. 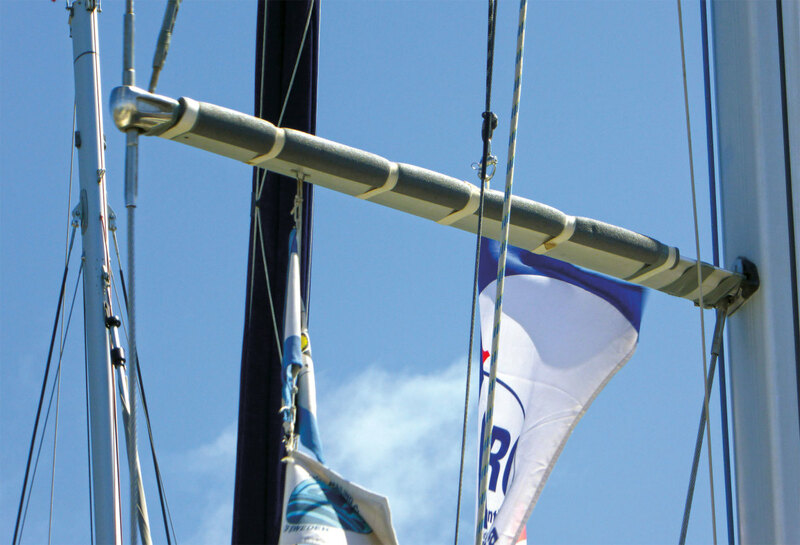 It’s also a good idea to add full-hoist marks to your halyards. On a calm day at the dock, hoist the sail all the way up. Then, when it is at max hoist, mark the halyard against some corresponding point on the boat. (The edge of the winch is a good place.) You can also whip the halyard with twine in addition to ticking it with a waterproof marker. This way you will be able to feel it stand proud when it’s dark. While you’re at it, do the same on your headsail sheets. Trim the sails perfectly and then make a mark. That way the sail trimmer will know to look at the sheet and never trim it past the mark you have made. Exceeding the sail’s designed range: Many of us have been caught in squalls and found ourselves with too much sail up, which can result in a permanently distorted sail shape, especially with laminated sails. Fortunately, there are a number of things you can do to avoid damaging your sails if you are caught in a sudden squall. For example, the sail is at its most vulnerable when it is sheeted on tight, so if there is a sudden increase in wind the best thing you to do is to ease the sail out in coordination with the helmsman. Specifically, as you ease the sail, the helmsman bears away, thereby causing some the load to come off the sail while also preventing the sail from flogging. This applies to both mainsail and headsail. 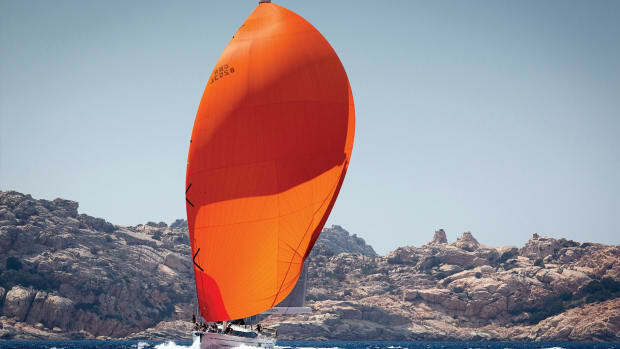 In fact, a sail that is engineered for a certain amount of true wind when sailing hard on the wind can be carried in double the amount of true wind when sailing downwind. Moisture, mildew, maintenance: While moisture and mildew do not actually weaken the fabric of a sail, they do make it look unsightly and can ultimately render the sail useless—unless, of course, you don’t care about cosmetics. Most modern fabrics are treated with effective anti-fungal agents, and if you want to exercise an abundance of caution you can actually have the sail dipped into an anti-UV and anti-fungal solution. 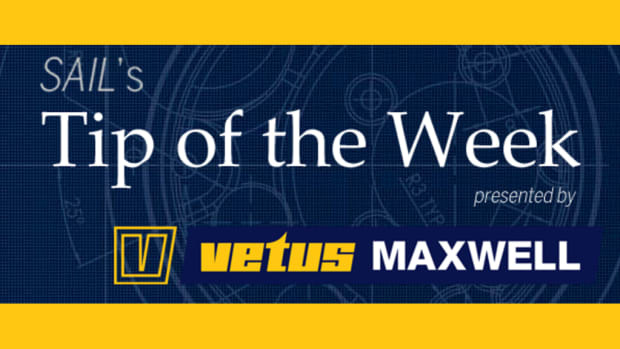 This may, in fact, be a good option for those sailors who have in-mast furling systems and are based in the tropics, since it’s a challenge to stop the sail from getting wet, and there is no ventilation in the mast cavity to dry the sail out. In terms of maintenance, taking care of your sails at the end of a sailing season is just as important as taking care of the sail while you are out sailing. First and foremost, make sure that you rinse the sail with fresh water. The salt particles that are found in salt water crystallize as they dry out and the tiny crystals have sharp edges that can damage delicate fibers. 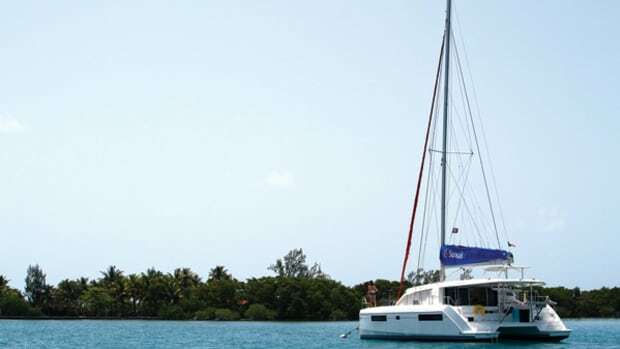 If your sails need cleaning, you can use a mild detergent like dishwashing liquid to clean them. For oil and grease, use an automotive degreaser such as Simple Green. There is only one chemical that removes rust stains and that is hydrofluoric acid. But be aware: it’s very toxic and this should be done by your sailmaker in a controlled environment. Once the sail is rinsed and clean you should let it dry completely. Pay particular attention to the patches, which will be the last to dry. If they are not completely dry you may end up with mildew forming between the folded layers.  Read, Part 2, How to put together a sail-care kit for your boat, here. For more Tips From the Boatyard, click here.